With the Pack & Gift fair just a few days away, it is impossible to ignore the enthusiasm generated by promotional packaging. More than a trend, it is the uprising of a new wave. This is not surprising at a time of market unification, hyper industrialization and the intensification of brand competition. Meanwhile, consumer expectations are making the switch to ultra-individualization. Jaded and fickle, they are now looking for uniqueness and rarity. Faced with these two basic trends, brands are adopting a position of permanent conquest: sustained communication campaigns, promotions throughout the year, and for some time now, promotional packaging. Many sectors have adopted promotional packaging recurrently: chocolate, wine and spirits, perfume (image 1), and also the tobacco industry. However promotional packaging is no longer the exclusive privilege of high-end products and it has widely spread to other sectors over the past 5 years. This is clearly obvious when observing shelf space: dishwashing liquids, honey, and even deli meat … Today, all types of products are available in various promotional offers. A springboard to promote brand image and awareness. This enthusiasm can be explained by the tremendous springboard-effect in promoting brand image and awareness that results from this type of packaging. Well beyond quantitative targets, promotional packaging is a great way to nurture brand leadership; since it is the first media; but also to develop brand image and fuel communication. Of course, promotional packaging boosts sales over a short period of time, particularly when a brand has exploited all the promotional mechanics. However quantitative objectives are not the most important. Indeed, this type of packaging can reach many qualitative marketing objectives. Thus, it can be used to develop brand image by allowing it to reach a higher-end market, creating greater consumer closeness. It truly breaks the routine! By punctuating the year, it offers more brand visibility and avoids loss of interest. It also proves to be a very good tool to develop loyalty and even customer acquisition, since it can trigger the testing of a product or a new offer. Finally, it also satisfies distributors since it livens up shelf space. And to complete the virtuous circle, promotional packaging nourishes brand communication. In many cases, it provides a lot of press coverage, and feeds essential social networks which in turn provide a buzz, exposing the brand. Promotional packaging launching used to be limited to the main seasonal events such as Easter or Christmas. Today, the opportunities to launch a promotional packaging campaign have multiplied: birthdays, cultural and sporting events, holidays throughout the year, back to school period etc. 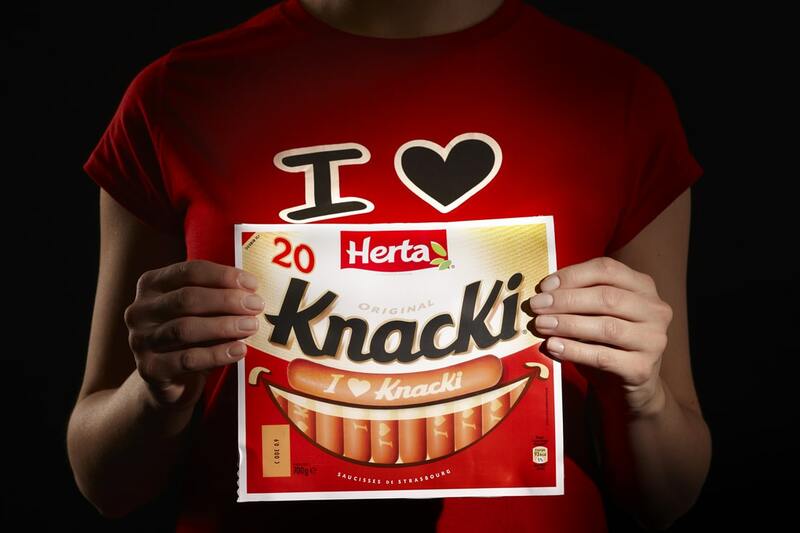 So many opportunities to create events in the aisles, just like Knacki did in 2013 with the “Smile” pack, in response to the economic downturn. Promotional packaging, yes, but in the interest of the brand. Given the many advantages of promotional packaging, it can be tempting to launch a campaign for any occasion. However, it is a tool that must be managed carefully at the risk of losing sight of the true meaning behind the brand. Thus, when a brand uses big names in the design or art world, the risk is that the name will eventually overshadow the brand. Similarly, it is necessary to remember to accompany the promotional packaging with a different pricing policy. It is essential that the consumer perceive the additional value, otherwise it is just product promotion. Be careful to remain consistent with the brand, and the product positioning. What is the future of promotional packaging? Often criticized, promotional packaging has been accused of many ills: overpackaging, waste, etc. Yet it is indeed an object to keep, which can be given a second life (image 4), and is often collected. A few clicks on Ebay suffice to make us realize that there is a real packaging collector market. Collectors resell the rarest pieces at top price. Furthermore, the Musée de la publicité (Advertising Museum) exhibits promotional packaging, proof of the importance it has established today. Finally, a fair is dedicated to it: Pack & Gift, with a growing passion for the profession. Creative packaging, marketing lever or artwork, promotional packaging has a bright future ahead. It will continue to play a key role in guiding brands through their leadership approach.